1 w/King, 3 w/Queens, 1 w/Double, 1 w/2 Bunk Sets. Sheets and Towels Provided. "Sounds Great!" #D4001 will provide your group with 5-Star accommodations as this home was recently renovated from top to bottom; literally everything was brand new in 2018. 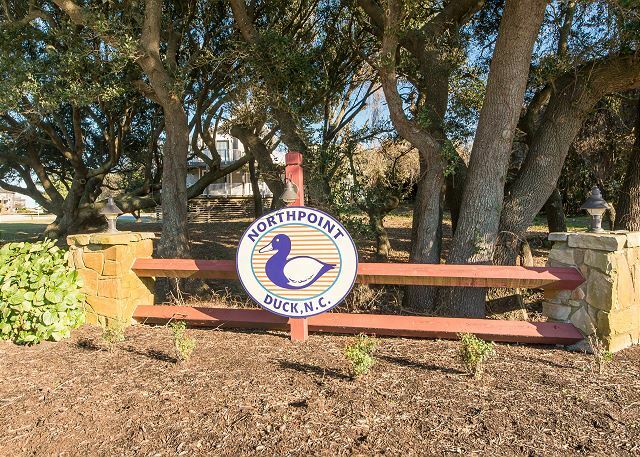 This is a stunning 6 bedroom 3 bathroom vacation home conveniently located on the outskirts of the premier town of Duck, NC. recently rated as one of the best kept secret destination spots in the entire country. This private coastal home is tastefully and professionally decorated to reflect modern chic trends that will keep you dreaming all year long for this gorgeous home. Why stay at some old beach box when you treat yourself to a fantastic vacation with top of the line accommodations, book today and find yourself saying this house "Sounds Great!" year after year. From the spacious outdoor decks you will be able to enjoy the famous golden North Carolina sunsets with colors beyond anything we could describe, or melt the stress away in your private hot tub while sipping a glass of delicious wine from one of the local wineries. 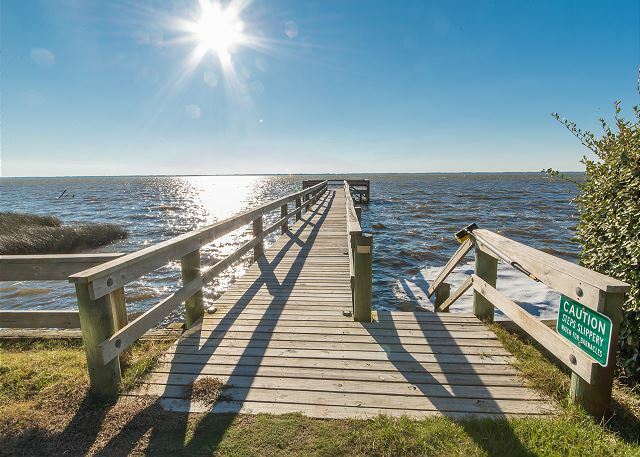 If you are looking for a day of fun with the kids just hop across the street to the community pool or enjoy some crabbing and fishing off of the community sound front pier, don't forget to take some bait and extra sun-screen. The owner has thoughtfully provided convenient amenities such as a beach cart for easy transport for beach day set-up, beach chairs & a beach umbrella so you don't have to spend extra money renting or buying, a corn-hole game for some fun and competitiveness after dinner, and kayaks for your to enjoy exploring the natural maritime ecosystem. This home truly has the full package with (Linens Provided), and you will remember all year what a wonderful trip you had at "Sounds Great!". The top level features an open kitchen & family room layout with brand new granite counter tops and stainless steel appliances, also fully stocked with everything needed to prepare delicious meals together as a family. Gather around the country style kitchen table which accommodates up to 10 at one time, or grab a quick snack at the counter height bar stools. The double sliders provide the perfect entrance to the top level deck area where you can enjoy the salty sweet outer banks breezes, gaze for local wildlife or have an appetizer or two while you enjoy the sunset. The only King size bedroom is found on the top level as well, which features all new painting/bedding/decor. The remaining bedrooms are on the mid-level also featuring a total renovation and re-decoration and will leaving you feeling rested and pampered. Hot tub is located on the mid-level deck and can be conveniently accessed by sliders in 2 different bedrooms. The ground level accommodates additional guests with the pull out Queen sleep sofa and brand new accent chair. There is an extra refrigerator so you will not have to climb extra steps just to grab a cold drink, and also there is a smart TV for a little down time after a full day at the beach. 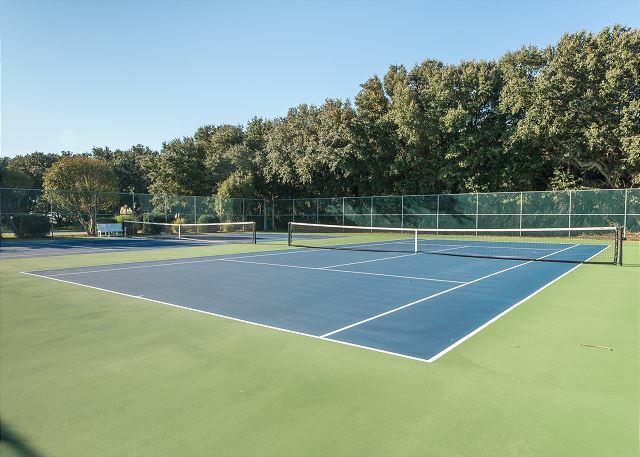 The Northpoint Subdivision enjoys a great community appeal and provides your family with a Sound front Dock, Heated and Covered Community Pool, Two Community Tennis Courts and Basketball Courts! Lower Level: Game Room w/TV, Queen Sleeper Sofa and Refrigerator. Mid-Level: Bedroom w/Queen and TV shares Full Bath w/Bedroom w/Queen and TV, Bedroom w/Queen and TV, Bedroom w/2 Bunk Sets and TV, Bedroom w/Double (no TV), Full Hall Bath, Covered Decks with Hot Tub. We absolutely loved this house, the personal touches made it that much better. The location was perfect for everything we wanted to do. Will definitely be going back. Thank you for your recent review of our property D4001 "Sounds Great! ", you have very accurately described this stunning beach cottage. The owner's work very hard to provide a clean and comfortable vacation home, that will accommodate multiple families and we couldn't be happier that you have a wonderful stay. We hope to see you again for any future trips to the Outer Banks. 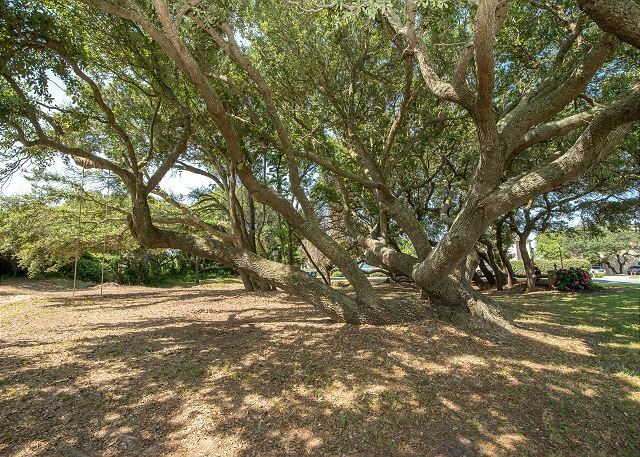 "Wonderful Week at the Beach" is exactly the review Kitty Rentals and every owner wishes to have their guests say about their stay at their property. These owners are very hands on and want everything about the house to be fresh and comfortable and enjoyable as possible for each of their guests who choose to visit their home. We look forward to have your family with us for many future vacations at "Sounds Great". The property is very nice and has many updates. The property is roomie and easily handled our 13 people. It is well located to both the sound and the ocean. The home is well equipped inside and for outside activities (ocean and sound). 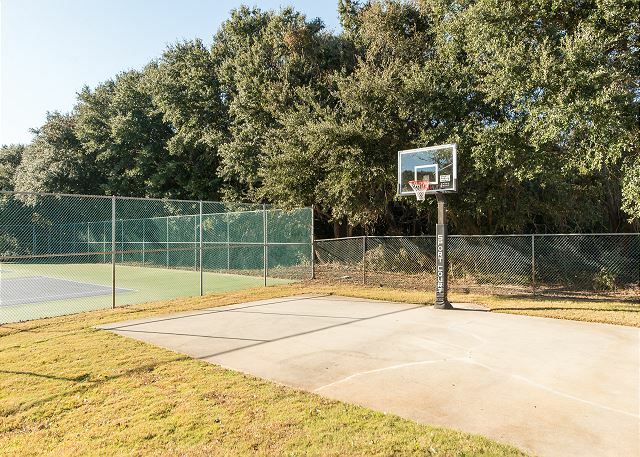 The property description is accurate regarding layout, location, and amenities. The property is clean and well maintained. We would highly recommend this property. Thank you for your recent review of our property D4001 "Sounds Great!" we couldn't be happier that you enjoyed the home and found it to be comfortable and accommodating. The owner has put a LOT of blood, sweat, and tears into revamping this home and she has really knocked it out of the are proud to showcase this gorgeous home, and the amenities included are second to none. We welcome you back anytime to Kitty Hawk Rentals, we hope to see you in the near future!